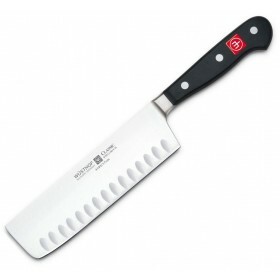 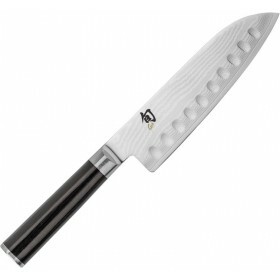 Styled after the Japanese cook's knife, this blade is just right for preparing both Asian and Western cuisine. 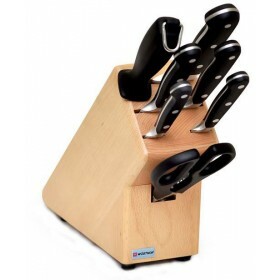 The scalloped edge creates pockets of air which prevent extra thin or soft slices from sticking to the blade. Part of the Wüsthof Classic range. 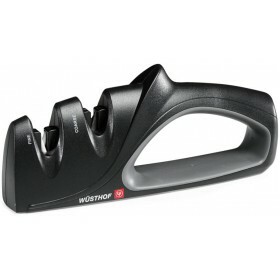 Razor sharp edge with Precision Edge Technology (PEtec), double ground to 10° each side. 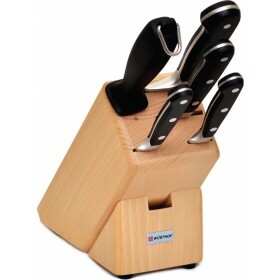 Perfectly balanced for optimal comfort and control.